Fans of sun, sea, history and good living have a feast in store along Israel's Mediterranean coastline. From Tel Aviv, listed regularly by top travel publications as among the best beach cities in the world, up the coast to the historic (and ancient) towns of Caesarea, Zichron Yaakov, the Old City of Akko (Acre) and beyond, the area is robust with culinary attractions, natural landscapes and cultural and historical sites from the Byzantine, Crusader and Ottoman eras that will intrigue even the most discerning. Tel Aviv, another “city that never sleeps”, is home to a melange of hotel concepts, from luxury properties with world-class restaurants to efficient business hotels – a city that is home to an innovative hospitality scene that rivals the world's best. 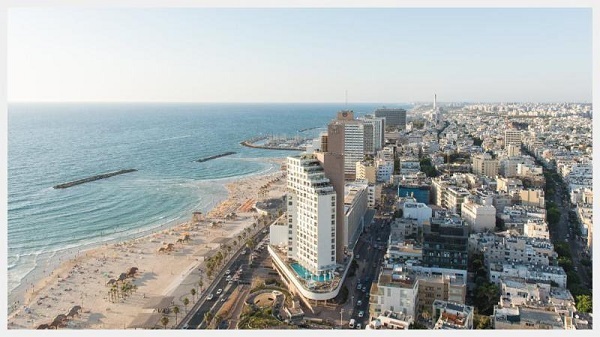 One example is the Carlton Tel Aviv, a contemporary business hotel with all the offerings of a resort, an independently-owned, 268-room luxury beachfront property just steps from the Mediterranean. With a rooftop pool, two restaurants by chef Meir Adoni and state-of-the-art business facilities, Carlton Tel Aviv is well known as an ideal option to stay for a fusion of work and pleasure. The Poli House is housed in a restored Bauhaus architecture-style building with panoramic rooftop pool, sunbathing lounge, bar, restaurant and spa treatments, while Hotel Montefiore is a 12-room boutique property in a restored building in the heart of the city, just steps from Rothschild Boulevard. The Montefiore is the pioneering boutique property that paved the way for Tel Aviv's burgeoning hotel scene. The hotspot restaurant is renowned for its daily changing menu featuring an Israeli interpretation of Franco-Vietnamese brasserie fare along with a long list of international wines and artisanal cocktails. Visitors should be sure to visit the Carmel and Levinsky Markets, full of colourful food stalls, produce, dairy and spice sellers and some of the best street food stalls in the Middle East, including generations-old Moroccan, Persian, Turkish, Iraqi and Bulgarian home-style eateries. For Tel Aviv's famed nightlife, seek out Rothschild 12 (R12), reputedly the home of the best happy hour cocktails, or Kuli Alma, a music- and art-focused venue in the south of the city. Another top gathering place is the Block, regarded as the godfather of the local scene despite being in the unlikely surroundings of the Central Bus Station. 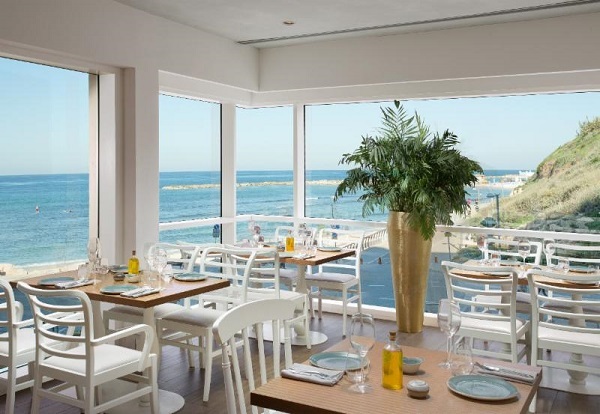 Travellers heading north along the coastline from Tel Aviv should certainly visit the ancient port town of Caesarea, home to what has been called the delectable seaside restaurant Helena. It is set on the port overlooking the water with views of the Med and an unprecedented selection of land- and sea-based dishes that have put the restaurant on the map as one of the top 1,000 in the world by the French Culinary Institute's La Liste. En route to Helena, travellers must first enter the Caesarea port, which has recently received a US$25m upgrade to its infrastructure from the Edmond de Rothschild Foundation. Highlights include newly-unearthed archaeological discoveries that can be visited by the public, including the altar of a temple built by King Herod more than 2,000 years ago in honour of Emperor Augustus. Zichron Yaakov is home to the Elma Arts Complex Hotel, a 95-room luxury spa resort perched on top of the lush and majestic precipices of Zichron Ya'akov at the southern tip of the Carmel Mountain Range overlooking the ocean. The complex features Israel's most state-of-the-art auditorium which includes 25 acoustic banners allowing the space to be customised for each performance, a wide variety of video, audio and lighting capabilities and a pipe organ designed by Orgelbau Klais. It also houses an unparalleled Israeli art collection displayed in several gallery spaces and a world-class spa, all housed within the meticulously restored Brutalist architectural-style building created by Yaacov Rechter in 1968. Elma Arts Complex Luxury Hotel was originally erected as the "Mivtachim Sanatorium" in 1968 and gained worldwide recognition for its innovative design, earning architect Yaacov Rechter the prestigious Israel Award for Architecture in 1973. The hotel is also home to the Oratorio Restaurant, boasting sumptuous menus of Mediterranean specialties created by chef Gil Aviram and made from ingredients sourced within 30km of the hotel. Nestled in the picturesque 4,000-year-old city of Akko (Acre), the Efendi Hotel overlooks the historic city walls and the Mediterranean with a unique structure that combines two ancient houses built during the Ottoman era that have centuries of history stored within their walls. The houses were meticulously reconstructed and merged into one building before being converted into the boutique hotel that is the fulfilment of a dream long held by Uri Jeremias, chef and proprietor of the famed Uri Buri restaurant. It features 12 majestic rooms and suites , an authentic Turkish hammam, a Byzantine era subterranean wine cellar and a rooftop overlooking the ocean as well as several plush and luxurious lounges and reading spaces. The hotel has also launched new, exclusive guided culinary tours in the Old City of Akko's historic market where participants can meet and mingle with shopkeepers and peruse the authentic Middle Eastern spice stalls. Along with these highlights, the Mediterranean coast has many other attractions to offer, including tours of Rosh Hanikra and its Grottos, involving a descent into the white-clad natural caves via cable car. Elsewhere, there are etching and art workshops at the Gottesman Etching Center at Kibbutz Cabri, which has hosted some of Israel's most renowned contemporary artists; experiential Druze cooking workshops in Yarka; Jeep rides along the Sulam Zor ridge on the Israel – Lebanon border, and visits and wine tastings at Kishor Winery. The increase in articles reflects the major expansion in flights from the UK with Wizz and Monarch, easyJet offering three departure airports and El Al to come in shortly with the Dreamliner. Up to 10 services daily. Beirut is only three flights from Heathrow, likewise Cairo. No low cost services to either. Next up the new Ramon Airport at Eilat. BTN will cover Lebanon and Egypt assuming Foreign Office clears the destinations. Any reason for the recent deluge of Israel articles? Perhaps your reporters could head to Lebanon or Jordan or Egypt next time?